Today, 11th August 2018, the day od the Partial Solar Eclipse, se see a number of Geocentric Planetary Aspect taking place. The above chart is illustrating the aspects. 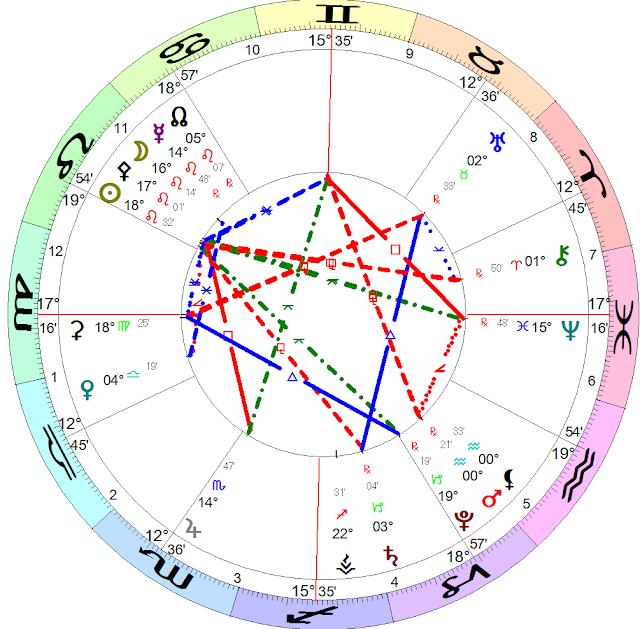 The other major aspect is MERCURY retro SQUARE JUPITER which has perfected today. Pallas is sesquisquare to Saturn which is trining to Uranus. And to seal the rough weather at seas Neptune is quincunx to the Moon, and Pallas, while at the same time semisquare to Mars retro. Neptune is being cornered and should stay with rough seas for now. I do not expect major events today since the yesterday 6R event. We will continue with double earthquakes and 5-6R range of earthquakes in my opinion.